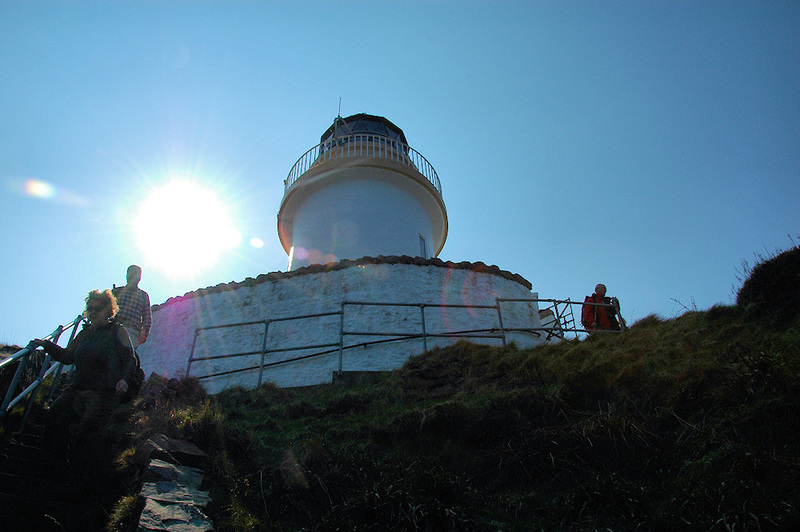 A different view of McArthur’s Head lighthouse high above the Sound of Islay. This is the view up to the lighthouse from the stairs leading up to it from the small pier at the bottom of the cliffs. I don’t know how many steps. This entry was posted in Landscape, Lighthouses, Repost, Sunny Weather and tagged Islay, McArthurs Head, Sound of Islay by Armin Grewe. Bookmark the permalink.